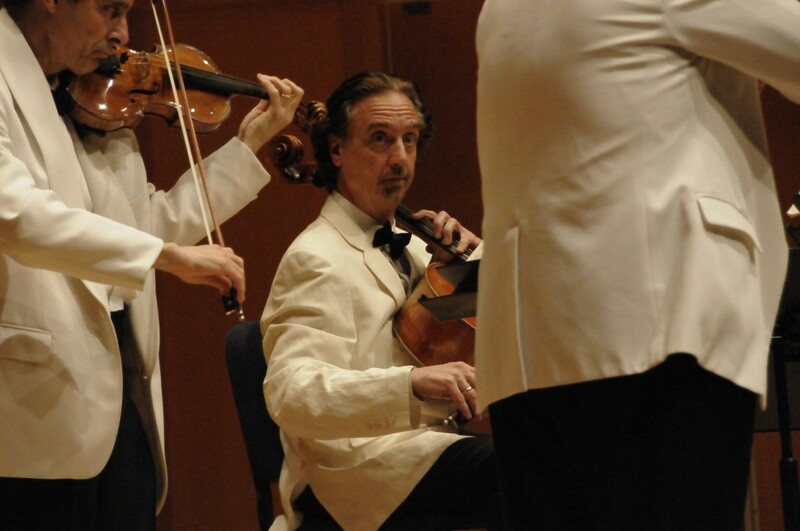 I remember Sergiu Luca in the steamy July heat of a makeshift concert hall at Reed College, sweating with the audience and instrumentalists through a little gem of a summer music festival he’d begun in 1971 called Chamber Music Northwest. I remember him beaming above the breakwaters at Cascade Head on the Oregon Coast, a glass of good wine in one hand and the other sweeping through space in accompaniment to a robust story. I remember him meeting and greeting people at the even littler Cascade Head Music Festival he began in the tiny town of Otis and later moved to Lincoln City after Chamber Music Northwest became too much of a production, smiling and joking with people ranging from local fishermen to high-powered musical figures such as Joan Morris and William Bolcom who’d come to the beach to sing and play with their old friend. Most of all I remember Luca with a fiddle in his hand — a very old and rare and beautiful fiddle, which he played with the light and grace and airiness of a man who had not just the right but the joyous responsibility to own and play such a wondrous concoction of wood and glue and string. With a violin tucked beneath his chin, Luca created music that was much more than precise and correct. It had swagger and pleasure and verve. If you wanted to call it classical, OK, but you could never call it boring or musty: it was a living, shifting, up-to-the-minute thing. Sergiu died Monday night in Houston, where he was even better-known than in Oregon. Sarah Rufca has the story on Culture Map Houston. The Oregonian’s David Stabler has this report on Oregon Live, and Allan Kozinn has this obituary in the New York Times. 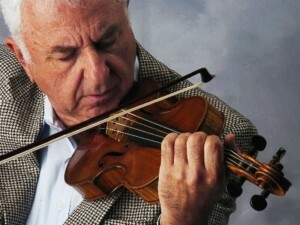 Things Rufca revealed: Luca was born in 1943 in Romania, and began to learn the violin at age 4 from a Gypsy, and made his debut at the Haifa Symphony in Israel when he was 9. He died of bile duct cancer, and there is little doubt that, although he died too young, he lived a rich life and enjoyed pretty much all of it.